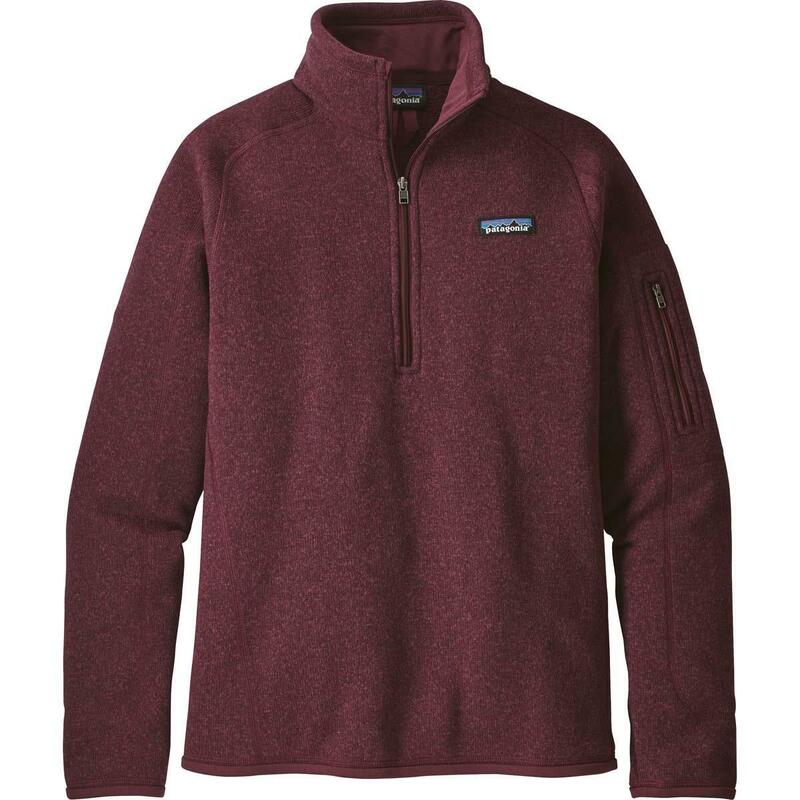 If you need comfort, warmth, and versatility, the 1/4 Zip Women's Better Sweater will outclass other alternatives. Whether you're skiing at high speeds down frosted slopes or hiking a winding mountain trail, this sweater can adapt to chilly situations in tandem with your body. 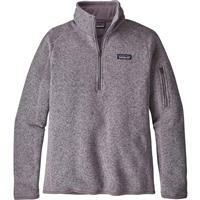 Made from polyester fleece, it insulates heat while allowing moisture to pass through, meaning you'll stay warm and dry. You'll feel unrestricted in your movements thanks to its raglan sleeve cut and a soft, micro-polyester trim that keeps the cuffs comfortable. This sweater is cut to be longer, falling at your hip with princess-seam construction to provide a flattering, tailored look.It also features a zip-through, stand-up collar design that keeps your neck cozy. If you need to keep your phone, keys or other valuables safe on your next adventure, a zippered security pocket on the sleeve provides a convenient, unobtrusive storage space. 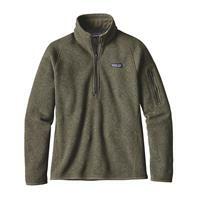 Patagonia's commitment to protecting and preserving the environment extends to all its products, including the quarter-zip women's sweater. The sweater's fleece has been colored through a low-impact process that cuts down on the energy, water and dye required to produce the material's rich hue. It’s also Fair Trade Certified™, a project that funds economic and social community projects, such as garment workers’ health care. This is definitely a great purchase-for yourself or as a gift! With many color options this piece can go with almost any outfit, and will keep you warm! The material is very durable, which is even better. The arm sizing is a little off so be careful when purchasing you may need to size up. 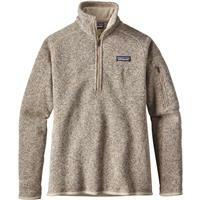 I really love this sweater pullover. Its warm and cozy. I'm giving it 4 stars because it needs pockets to keep your hands warm. Other than that, its great. Customer service was good. They didn't have the color that I ordered due to a system glitch, but they offered me another color and were great to work with. Very warm and like the Hemlock Green color. Nice sweater to wear with jeans. 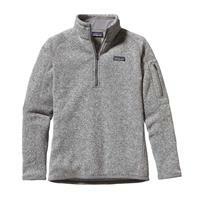 Great piece all through Fall or Spring, or as a baselayer for the winter under your jacket. Very warm and comfortable as well as stylish. One of my favorite pieces and it is very stylish to wear for anything. 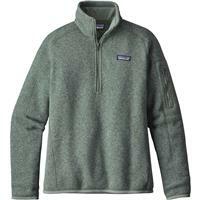 It's very comfortable on a cold day and has a great selection of colors. Great color selection and versatile to be worn while skiing but also just throughout the winter. Super flattering sweater and one of my go-to's on a chilly night. Very soft and warm. If you like a looser fit and sleeves that go more past the wrist, I'd recommend going a size up. Pros: Warmth, Style, Color selection. 100% one of my favorite pieces of clothing. I own 2 and get compliments on them everywhere I go. They are warm but light enough that you don't overheat. I will absolutely choose these over a sweatshirt any day because they are extremely comfortable and stylish. 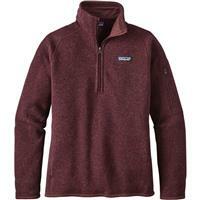 We are a family of five, all skiers and all fans of the Patagonia Better Sweater 1/4 zip. 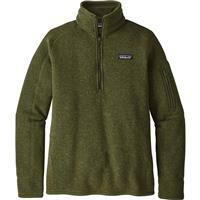 This sweater has many functions, great for layering, everyday and perfect to wear out to dinner after a day of skiing. This is a super cute piece to wear for anything, very versatile. I did however have to go up a size for the sleeve length because I have longer arms. 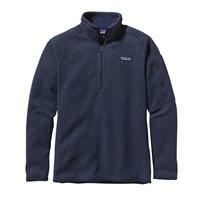 This half zip is great for any time- great for the slopes and lounging on the weekends. Super warm! Patagonia is Patagucci! Looks great and wears great, washes and dries nicely. Love pocket in sleeve for key and cards.